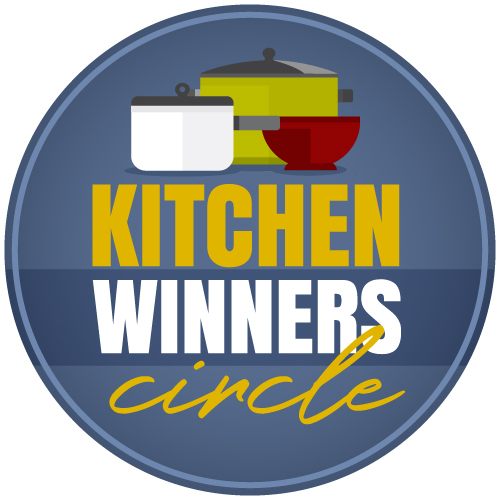 Beans are an affordable ingredient with great main dish potential. Eating beans adds fiber and nutrients to your diet and may even help you reduce the risk of certain diseases. But what can you MAKE with beans? I’ve gotcha covered. A few weeks ago, I told my family we were going to eat meatless more often. For a family of self-proclaimed meatatarians this takes a little getting used to. I’ve got one son who’s into nutrition and body building for whom a meatless meal is, well, not his favorite thing. However, a beefy meal for our family with a few leftovers (very few) is easily $20 — just for the meat. Whereas a bean-based meal to feed our whole family could cost as little as $5. I did the math and realized that we could shave quite a bit off our grocery bill if we ate a few more meatless meals each week. We ate meatless almost exclusively when we were getting out of debt, so the kids are no strangers to meatless meals, but we’ve been living a little high on the hog. For reals. So, we’ve been cutting back on meat and supplementing with one of my favorite fill-you-up, can-act-like-protein-under-the-right-circumstances ingredients: beans. Lately, I’ve even been ditching the can to maximize my savings, making beans in the instant pot or cooking them in the slow cooker. Beans are not only an affordable main dish option, but they also provide a good amount of fiber and micronutrients. Research suggests that eating more beans may also reduce your risk factors for heart disease, diabetes, cancer, and obesity. Save money AND live better and longer? It’s kind of a double win, ya know what I mean? 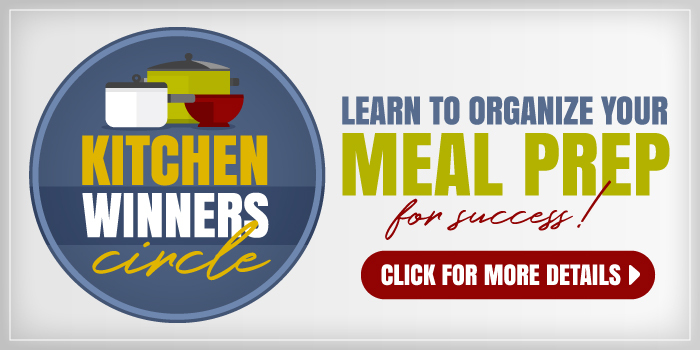 The next logical step, of course, is to figure out how you can include more beans in your diet, allowing them to supplant some or all of the meat in a meal so that you can save some money! But, what to make? Now, if you’re new to beans or have only ever had them coated in ketchup and brown sugar at a backyard barbecue, well, I’m here to broaden your horizons. There’s a whole world of beans to explore, and they don’t even have to be the sweet, canned kind! Spoiler alert: My family won’t eat American baked beans, and only one of them really loves the British kind. So, we’ll focus on other ways to enjoy beans! Soups are an easy vehicle for beans. You’ve already got lots of other ingredients going in your soup, beans kinda blend in with the crowd. 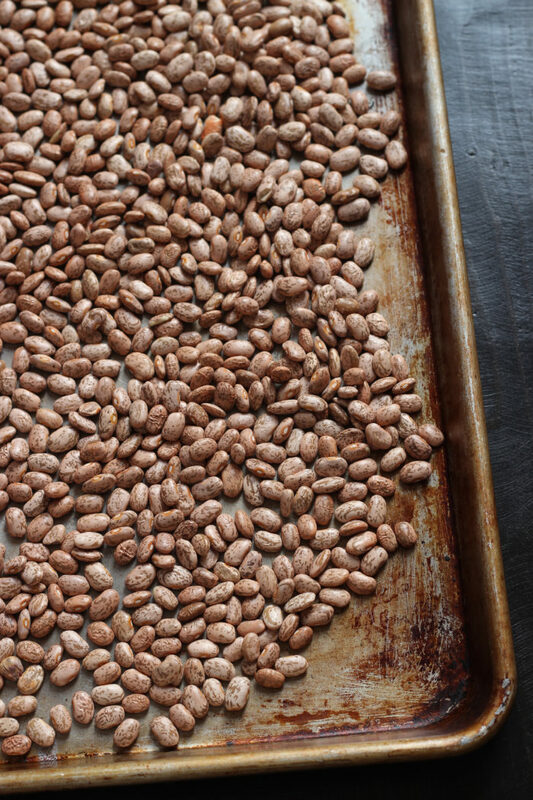 They can be the star ingredient, of course, but in pinch beans can help stretch your soup. Use beans to top or stuff things. Beans go great on potatoes, on chips, in tortillas, and in tacos. With a little creativity, you could bean everything in sight. 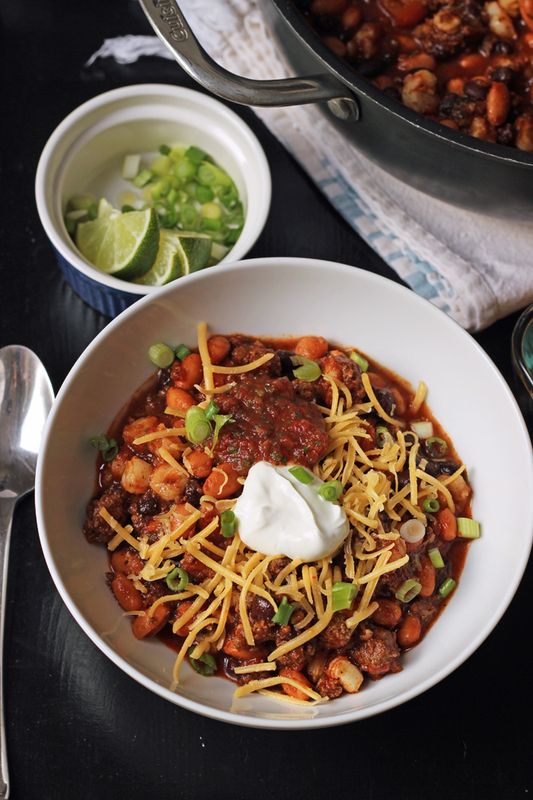 I know, chili purists say that beans don’t belong in chili, but c’est la vie, muchacho. It’s done. And it will continue to be done. I don’t think there’s any turning back. 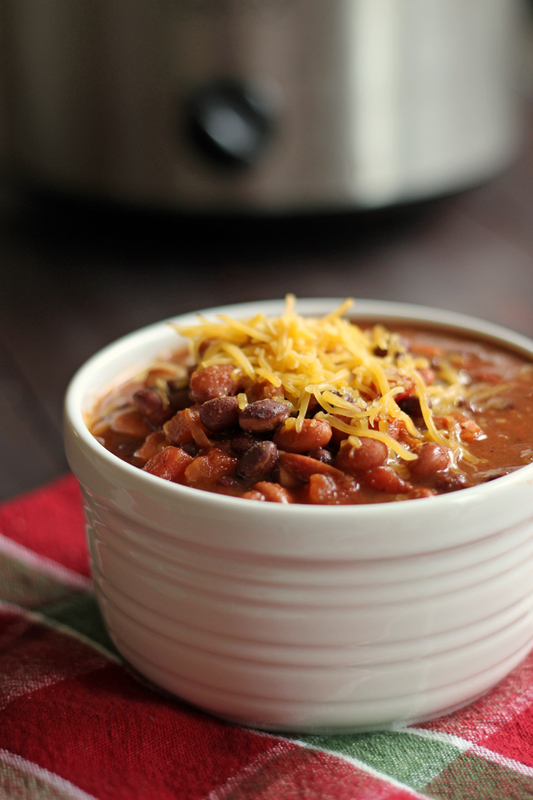 Beans can easily be stirred into your favorite casseroles to add fiber as well as flavor. They can substitute for the meat or just play a supporting role. Lawnmower Taco – readers have written to tell me they’ve subbed beans for the meat in our family’s favorite casserole. Use beans in bowl meals. Beans work in salads of every size and shape — except maybe jello. 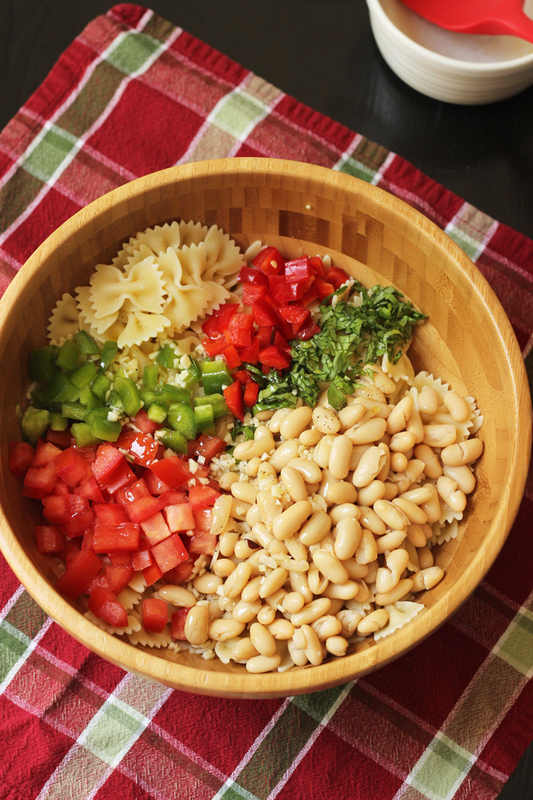 Beans in pasta salad, beans in green salad, beans-as-the-main-attraction salad, it all works. Beans are know for their dipping prowess. I mean what is a party without the bean dip? 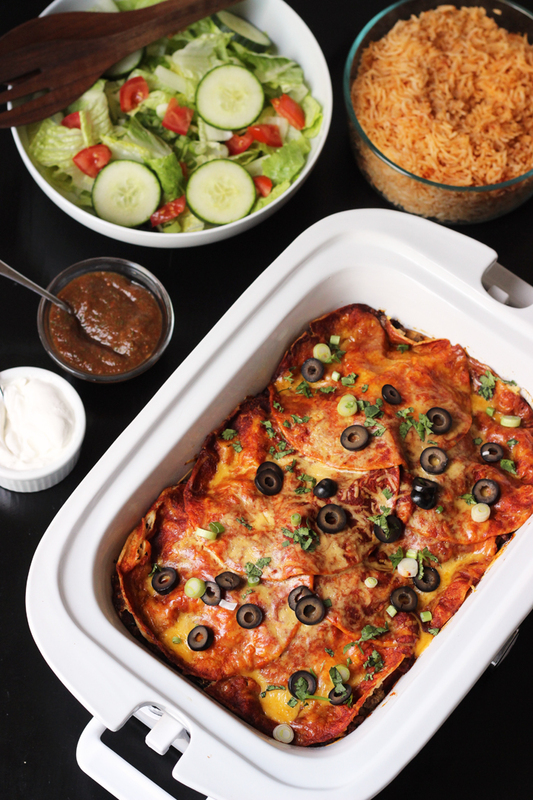 Be the hit of said party by bringing a homemade bean dip! So, there you have it. 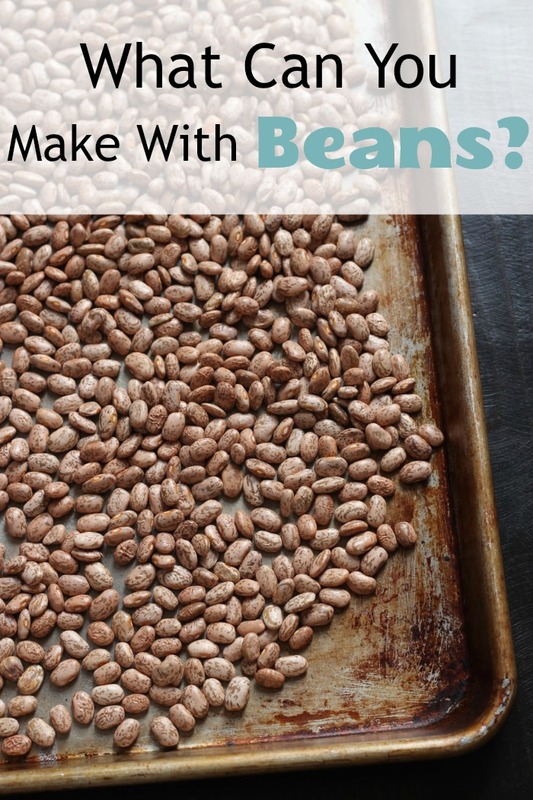 What can you make with beans? At least these 40 recipes. FORTY. They’re all delicious and super affordable. Originally published April 20, 2010. Updated March 12, 2018. In addition to what you have listed, I also throw beans into ratatouille and pasta sauces (generally white or black beans), and we’ve been enjoying black bean burgers quite a bit (with your homemade hamburger buns–yum!). I also like to add roasted red pepper hummus to quesadillas. And of course there’s my son’s favorite–bean and cheese burritos. I need to go back to trying bean patties. I haven’t made them in years, but that sounds yummy. Thanks for the nudge. My family members are committed carnivores, so I use beans more to bulk up our meals rather than to make them meatless. 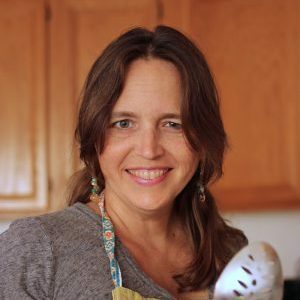 I have been trying to reduce the meat per servings from the traditional 3 to 4 ounces per person to 2 or 3 ounces per person. Consequently, I make a number of bean side dishes. Some of our favorites include black bean and corn salad and three bean salad, which are served cold. My favorite hot bean side dish is sautéed onions, peppers, corn and black beans seasoned with cumin, chili powder, garlic powder, salt and pepper. And of course, every Mexican dish needs a side of refried beans. I’m from the Midwest, so ham and beans is a favorite, I usually cook them with onions. But, the ham is optional, and meat can be only a little for seasoning or none. If I’m fixing beans without the ham, I like to use more than one variety of beans, I think it has more flavor, and used to mix pinto, great northern and navy beans and cook them together. With rice or (my favorite) corn bread it’s a pretty good meal. You could obviously use kidney, black, pink or any other bean you like in the mixture. I just bought several packs and kept them mixed them together in a gallon jar. I also like to add greens such as kale to beans, much like the Italian white bean and escarole soup. I think the original has sausage, but I don’t always include it and I use kale instead because escarole isn’t really available for me. I also sometimes fix pinto beans with onions added and just add a little cooked ground meat such as hamburger or some chopped up roast. This goes back to a western book I read decades ago where the cowboys ate a lot of beans and beef. In those days, beans meant ham and beans, but I didn’t have ham and did have hamburger so I started experimenting. I don’t add chili to this, just season it with onion, garlic, salt and maybe some summer savory. I also do a spicy white bean dip with garlic, lemon juice, and olive oil. It is similar to hummus but without the tahini which makes it cheaper. And of course just bean dip, which can be as easy as mashed or refried beans and salsa with cheese optional served hot. Sorry for running on a bit, but obviously I do like to cook with beans. My family loves beans! Some favorites are lentil tacos, ANY kind of bean soup, baked beans (on toast! ), and crockpot sausage & beans. Hummus, too. I wish I could get my people to like lentils! Ha! This California girl has never had red beans and rice!